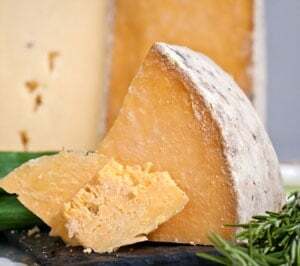 Made by cheesemaker Walter Rass at Kaserei Tufertschwil in the St. Gallen region of Switzerland, Chällerhocker has achieved cult classic status and is on every cheesemonger’s short list. 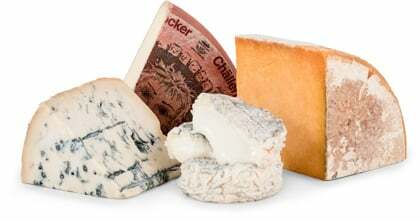 Chällerhocker is an appenzeller cheese and has consistently placed 1st or 2nd in Walter’s region for 15 of the last 20 years. The name Chällerhocker is translated as "sitting in the cellar" and is aged for a year, at least. Kaserei Tufertschwil is tucked away in Lutisburg, Switzerland, a small town of just 300 people. Founded as a diary in 1896, Walter’s family bought Tufertschwil when it was just under a hundred years only and continued to embrace its traditional village dairy heritage to this day. Where the Roth Grand Cru Surchoix also featured this month has loads of flavor up front, Chällerhocker builds flavor as you eat it. It begins more subtly, and the flavor enfolds on your palette to reveal a wealth and depth of flavors. This is a cooked curd cheese, so you'll taste that rich custard flavor, but you'll also pick up on a roasted nuttiness and a slight sweetness. The sweetness is in part from the wine that's rubbed on the rind. It's not an overwhelming sweetness but rather, a subtle sweet note that adds to Chällerhocker’s complex flavor profile. Extra cream added back in adds to the rich, creamy, fudgy texture and mouthfeel. It pairs well with Chardonnay, Pinot Noir and Rose, and would also go well with hard ciders. Chällerhocker melts really well so get creative an incorporate it into recipes or grilled sandwiches and paninis. Or, why not wow your friends with a fondue like they’ve never had before!